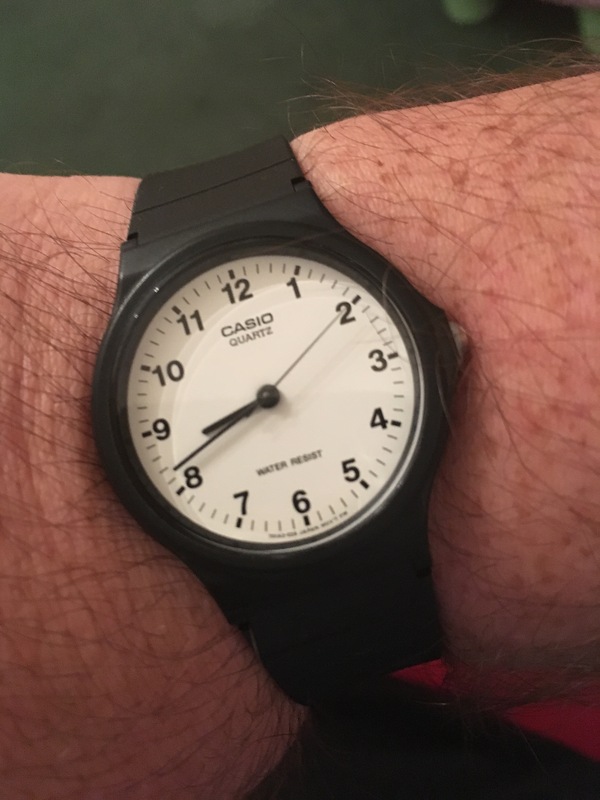 In a fit of barely concealed astonishment it occurred to me recently I have no idea where to buy a really good cheap watch. Argos, it seems, still has a decent line in basics. But whereas I used to nip along to see what was in the shop window of Steve’s or drop by Tesco on a quiet afternoon, there seems to be fewer independent shops than ever and all of the watches in Tesco have bling on them. I’m allergic to bling. All I wanted was a basic watch to tell the time with. Everything else a watch might do I can use my phone for. I just want a timepiece. Fortunately, Argos came up trumps. Except the strap’s a bit tight. Greetings. Again, apologies for the lack of updates in recent times, but things have been busy and conitue to be busy and frankly there’s not a lot of time to write.